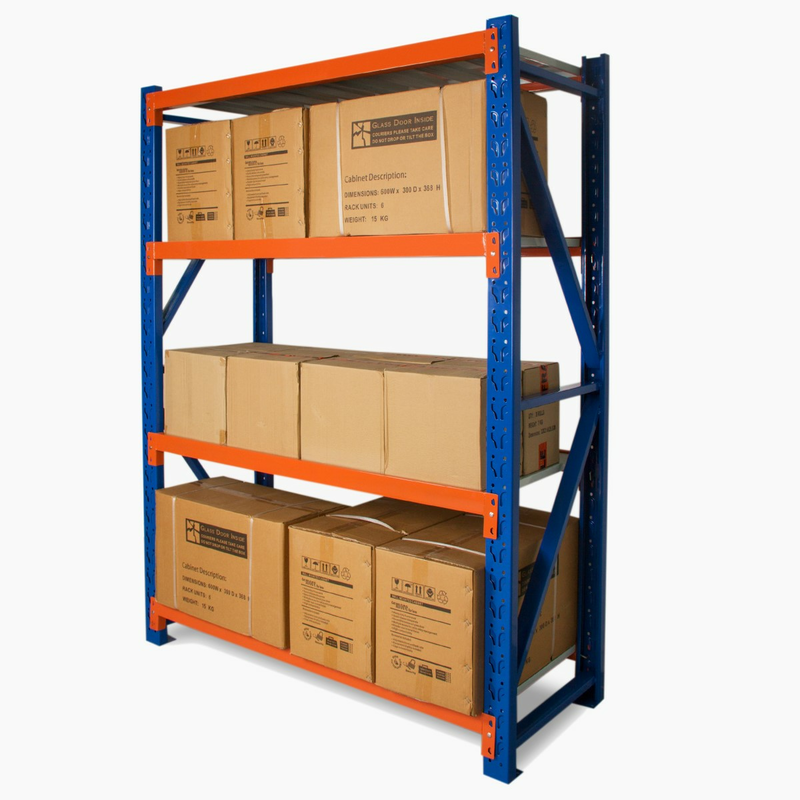 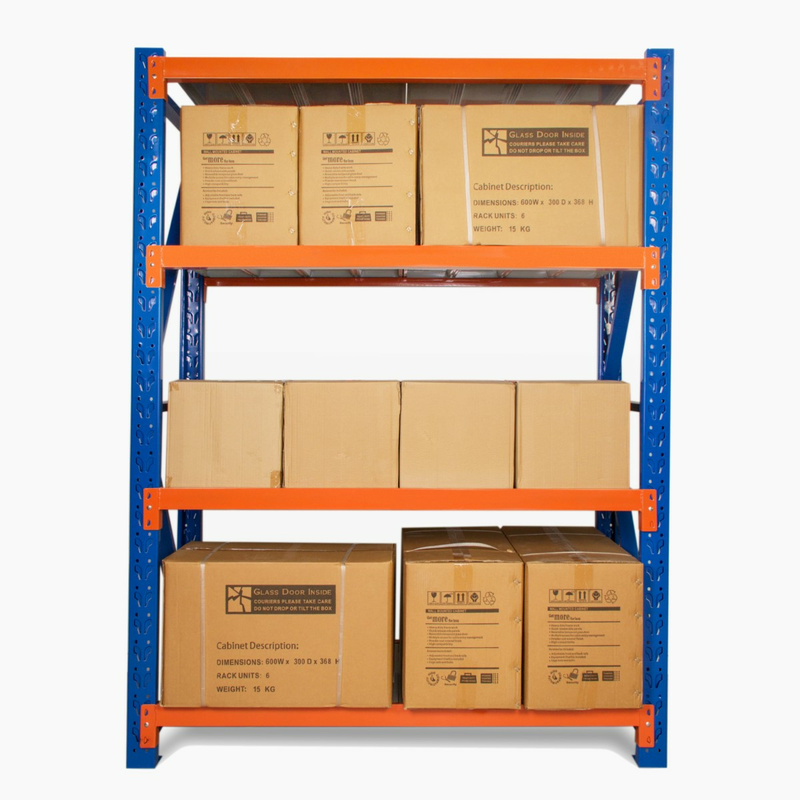 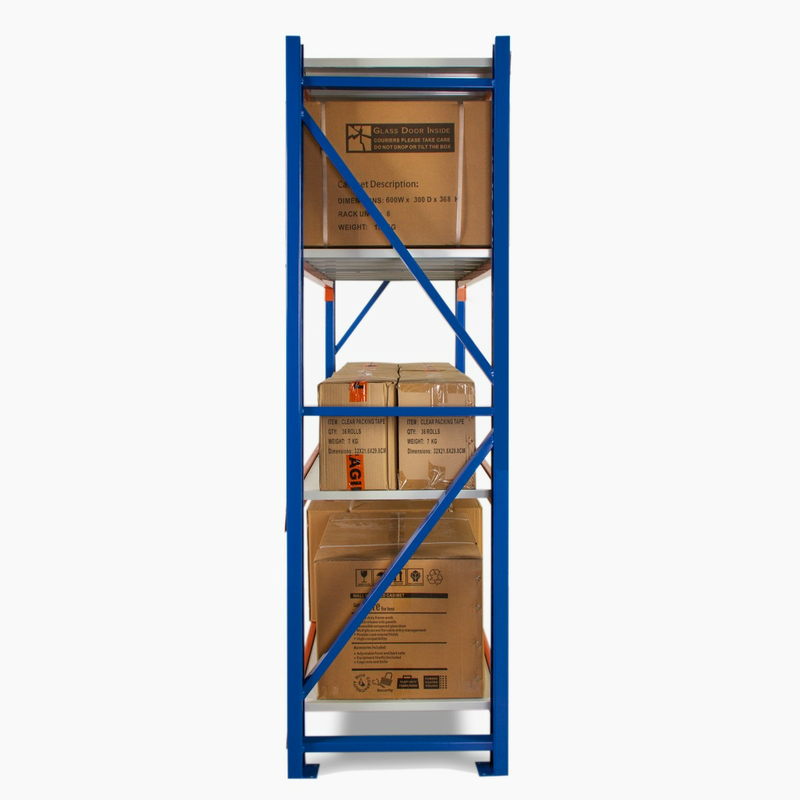 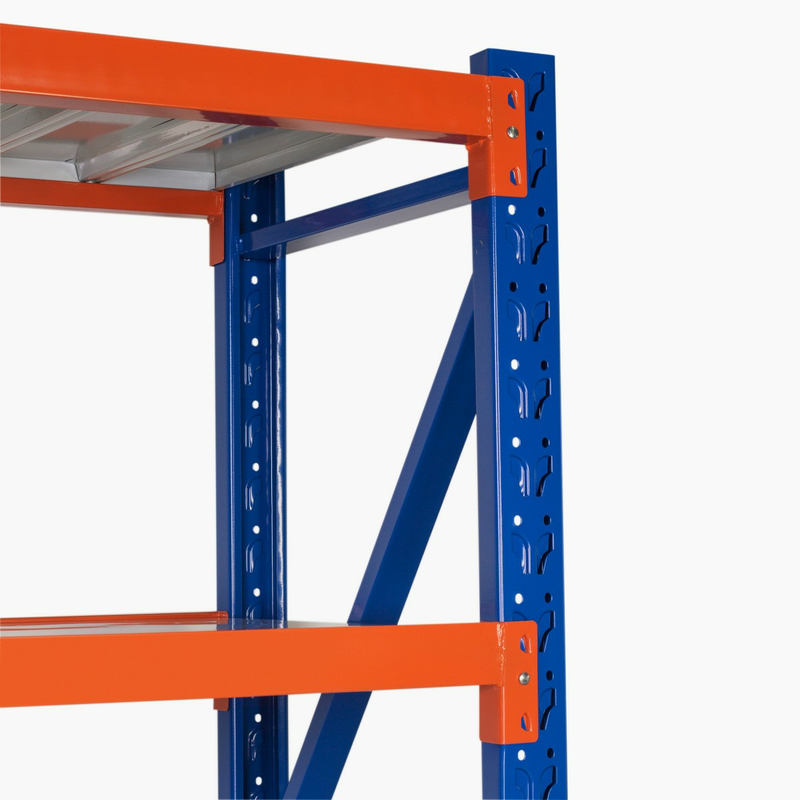 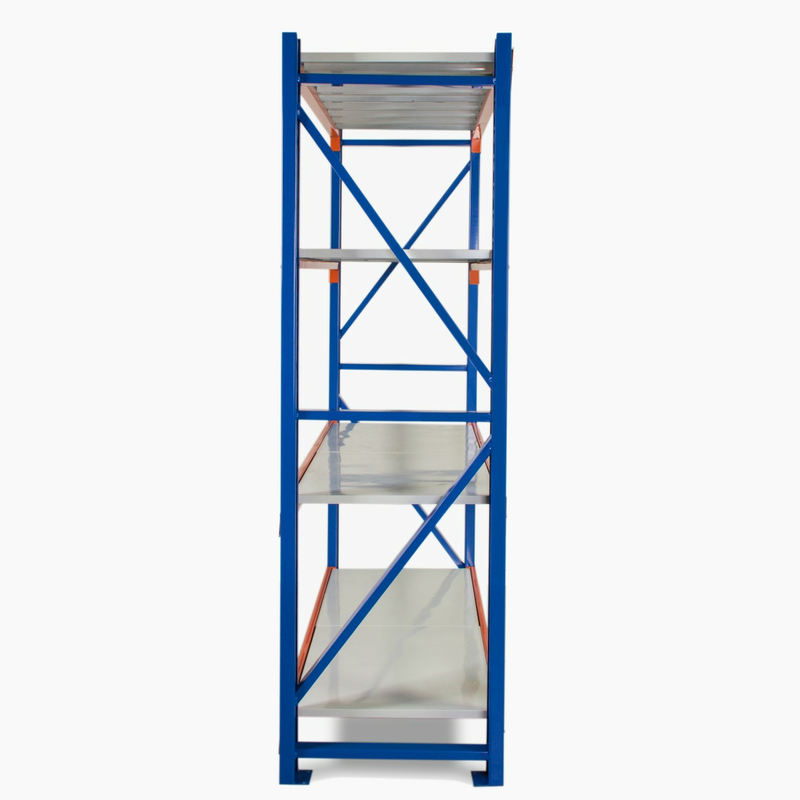 General Use 1.5m Long x 2m High x 0.5m Deep Metal Shelving that combines heavy lifting capacity with the convenience and versatility of light shelving units. We offer premium 1.5m Long x 2m High x 0.5m Deep Metal Shelving 1.5m, which combines heavy lifting capacity with the convenience and versatility of light shelving units. 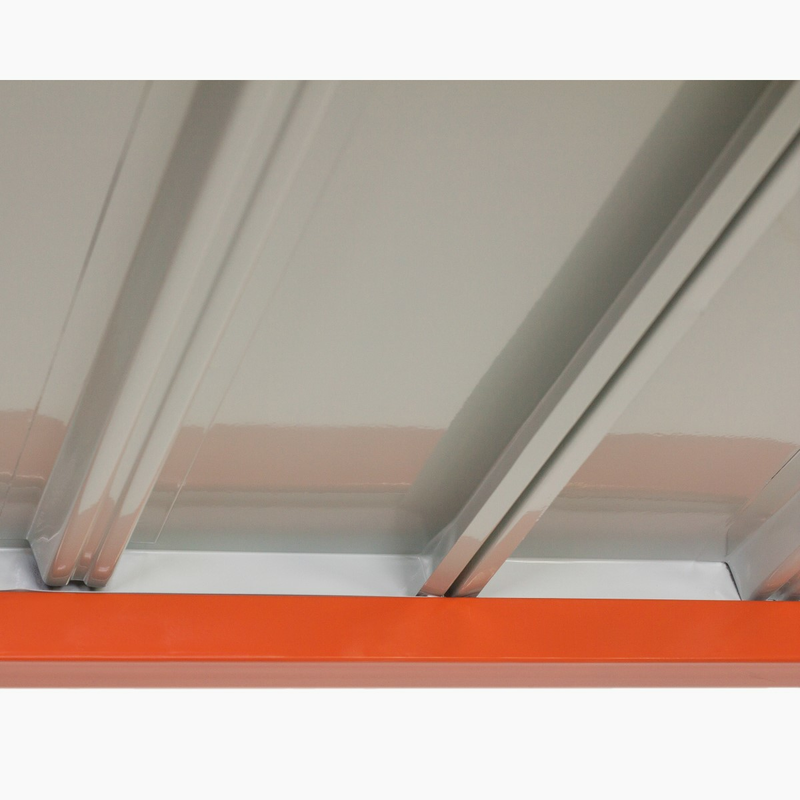 Hence, exactly what many clients in Melbourne, Sydney, Brisbane, Perth and other cities have been asking for (based on our years of experience within the industry). 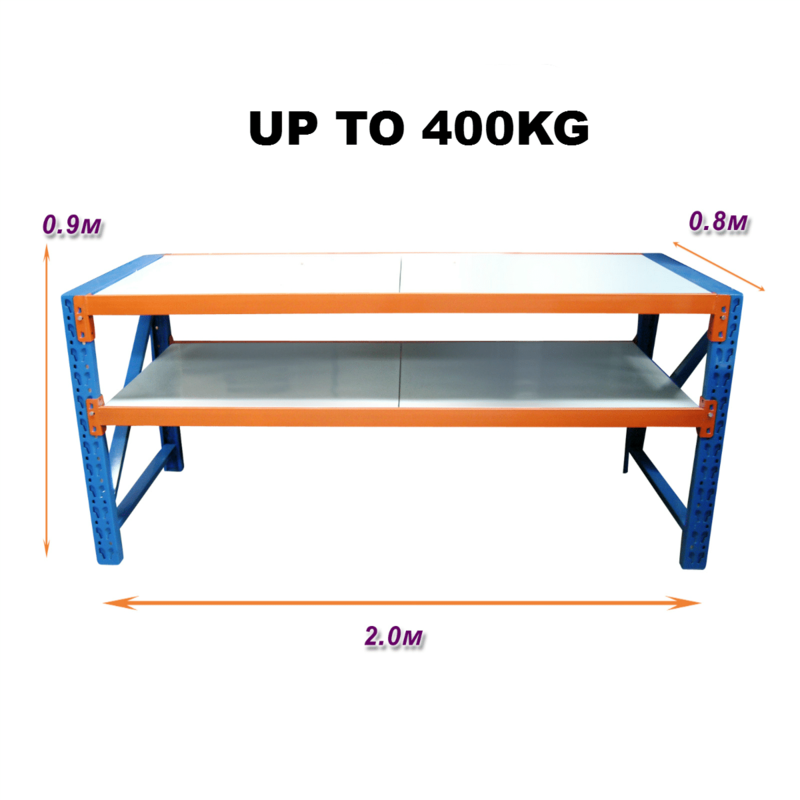 Each shelf is strong enough to hold 100kg (meaning it won’t buckle in case you climb up the shelf), with an overall 400kg capacity. 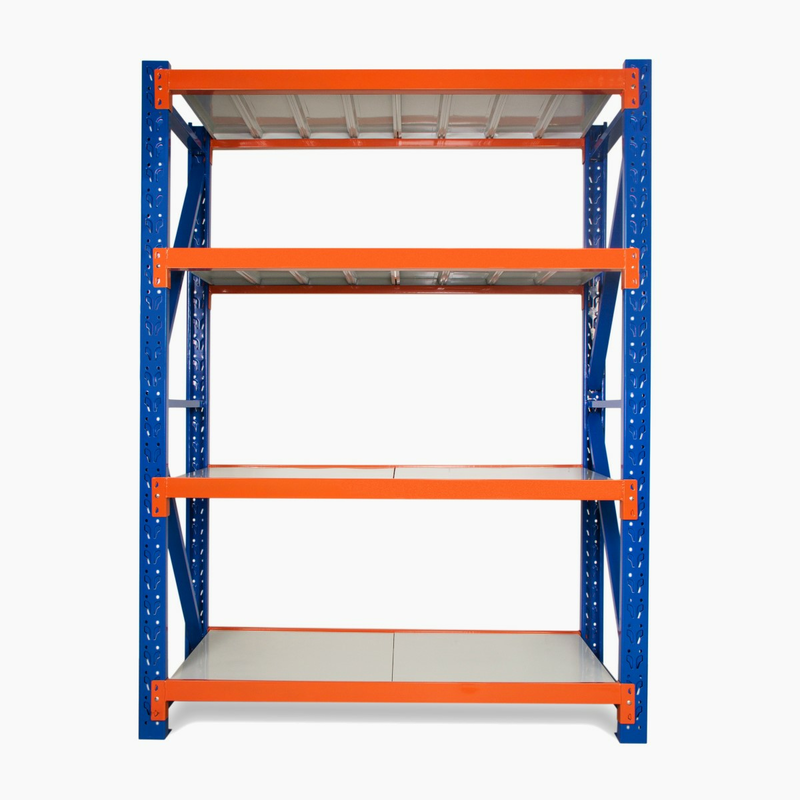 Furthermore, thick shelf panels with back support completely eliminate all weak points. 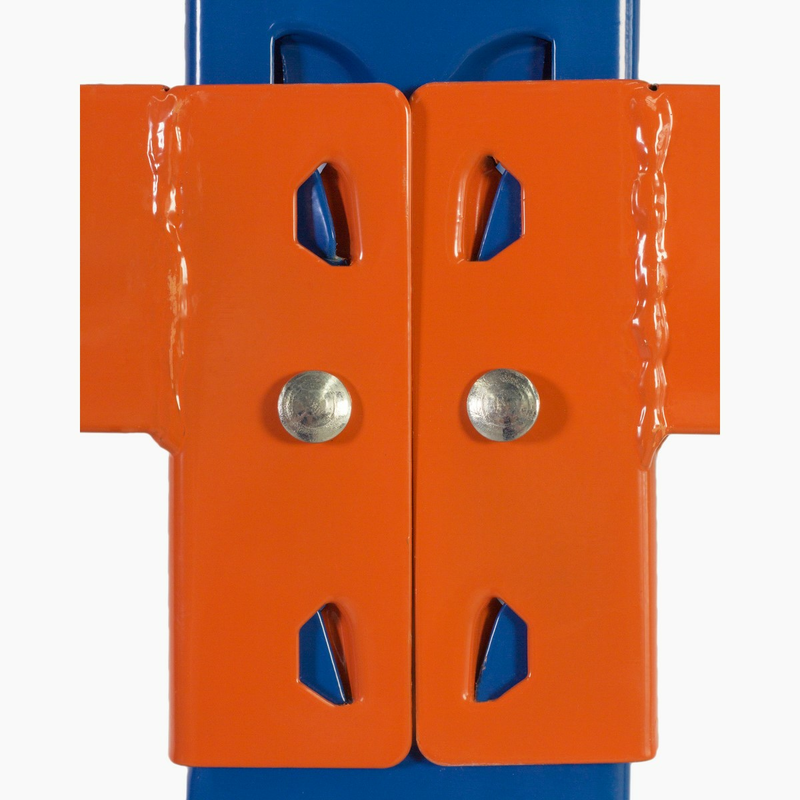 Moreover, bolts attaching the horizontal beams to the upright posts keep it all together when moving around. 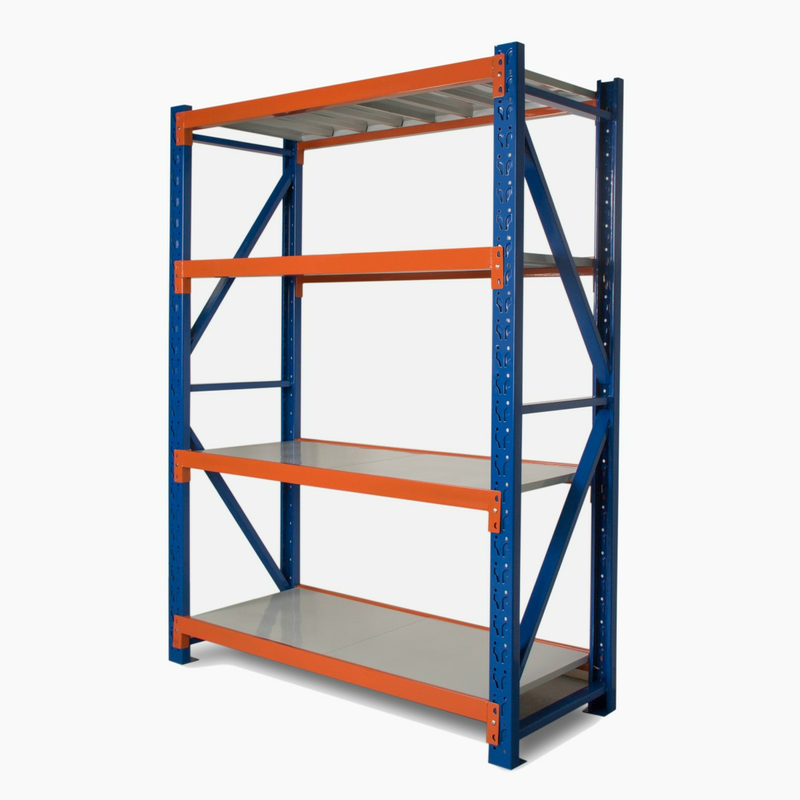 Even when your needs change, business grows or stock diversifies; you don’t need to change your shelving – simply configure it. 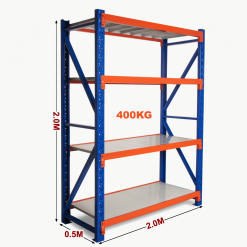 This strong and long-lasting metal shelving turns you recurring storage cost into a one-off cost; unlike the cheap galvanised stuff or other rudimentary alternatives that may require replacement at the most inconvenient time. 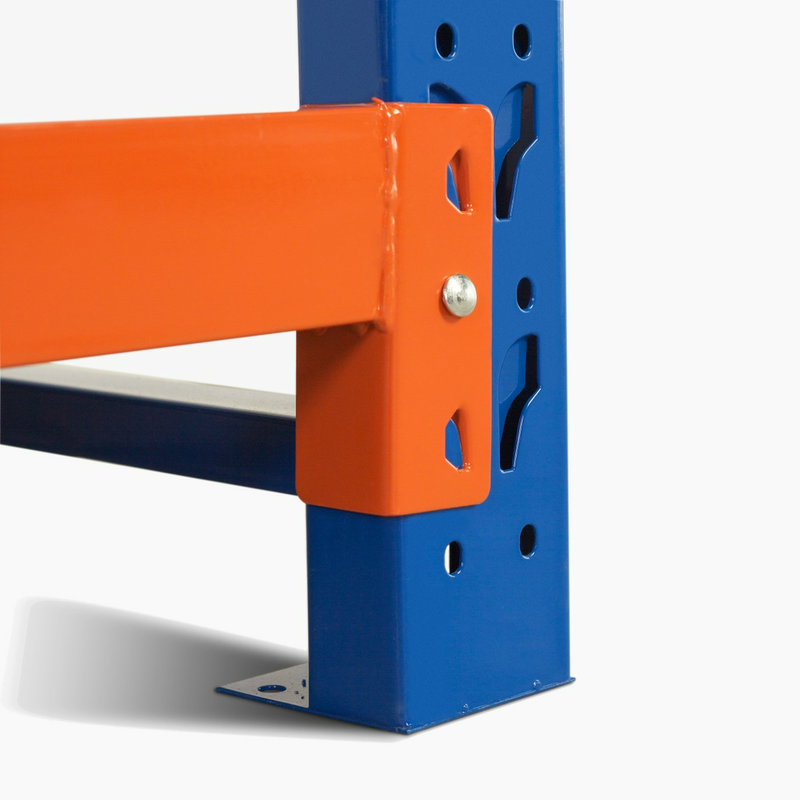 Don’t worry, the powder coated metal withstands scratching, chipping, wearing and fading. 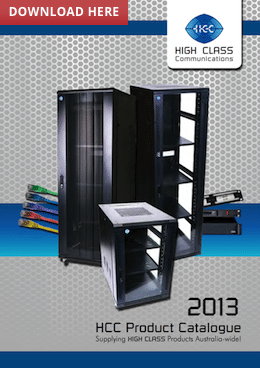 It will still look as good as new through the years. 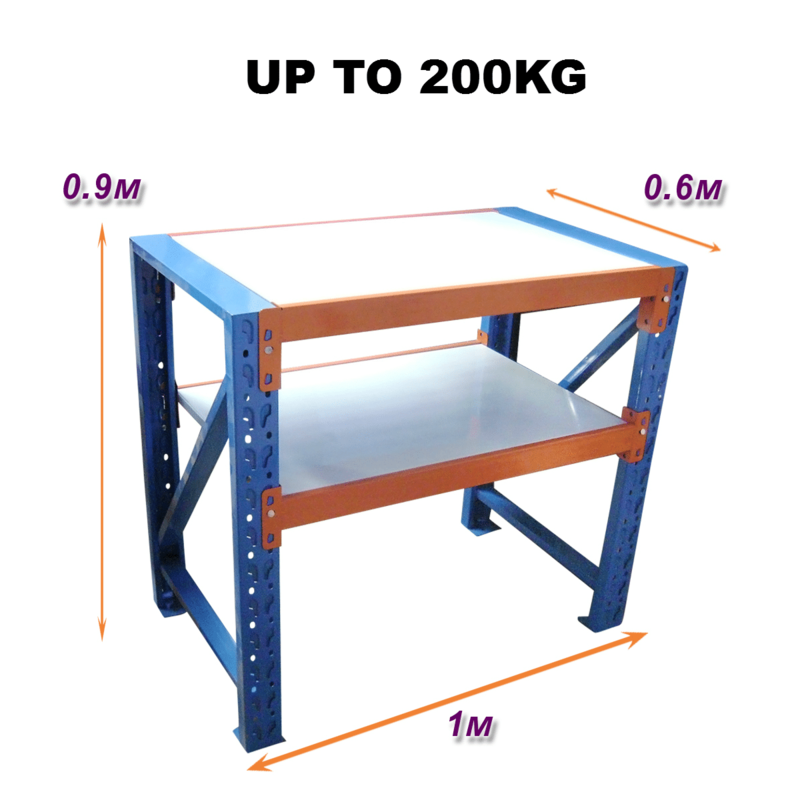 Get it from us at a very affordable price, with a 2-year warranty or contact us if you have any queries. 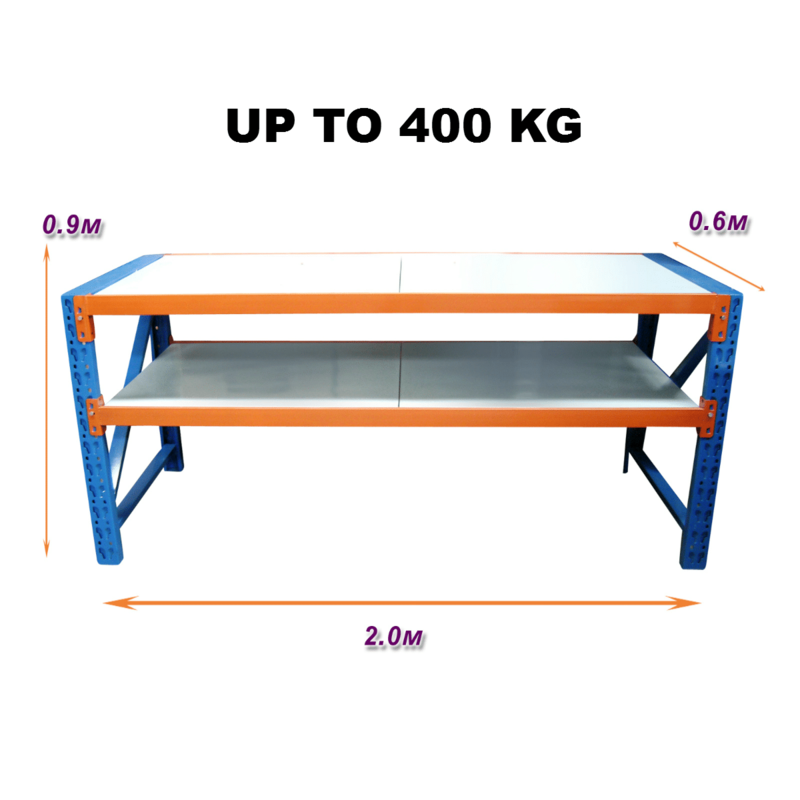 Also,we supply quality products to such reputable organizations as Monash University; The University of Queensland; and Melbourne Airport.